Aircraft Grade Aluminium, 4 piece precision, magnetic lid. Lifetime guarantee. 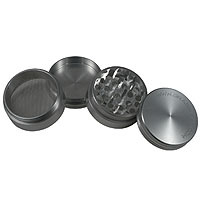 This is easily the best grinder we have ever seen and it just got better. A strong magnet has been introduced on the inside of the main grinder section which previously had no means of grip but now the Space Case is all set be the best in the market. As you are grinding your choice of herbs up, the tiny crystals which over time actually clog up the regular grinders, fall through the grate at the bottom. Over time, more and more crystals will collect in the compartment at the bottom of the grinder. 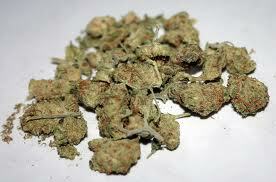 When you have enough, you can compress the crystals in to the most potent, sticky pollen imaginable!